Who's the hardest of them all? 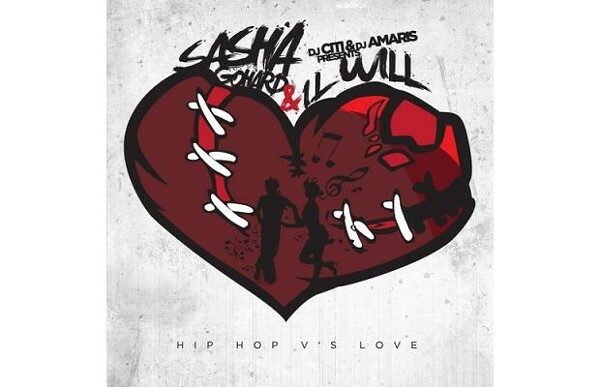 It's only been a couple months since local rapper Sasha Go Hard released a collaborative mixtape with Il Will of M.I.C called Hip-Hop vs. Love, but she's already hard at work on the follow-up, Round 3. A handful of producers have contributed to the mixtape, including the Odd Couple's Tony Roche and everyone's favorite Blackberry spokesperson, globetrotting DJ Diplo! Sasha plans to drop Round 3 on Mon 2/4. The anonymous person behind local solo black-metal act Surachai recently helped launch Make Noise Records, whose first five scheduled releases are all seven-inches in what the label's calling the Shared System Series. Each artist involved has recorded tracks with the same modular synthesizer (hence "Shared System"), and the first release, available from trashaudio.com, is "Creature I" b/w "Creature II" by Atlanta electronic musician and sound designer Richard Devine. The other four Shared System seven-inches will be by Alessandro Cortini, Robert A.A. Lowe, Keith Fullerton Whitman, and Surachai. As baby wolves, we were fans of Chicago power-pop quartet Fig Dish even before they signed to Polygram in 1995 and got swept up in the post-Nirvana major-label tornado. Unlike the kids from the same class who were hurled into the Oz of alt-rock infamy (Veruca Salt, Local H, Smashing Pumpkins), Fig Dish never really left Kansas. After selling fewer than 20,000 total copies of their two albums, they split in 1998. We think the band's music—with its goofy Cheap Trick-y bombast and surplus of Material Issue-style hooks—holds up all these years later, and next month Fig Dish are re­issuing their debut LP, That's What Love Songs Often Do, which will definitely prove us right! Though members now live in three states, guitarist Blake Smith (who's still in Chicago) says they hope to cut a seven-inch of new material this summer and play a couple shows. Nice! Sasha Go Hard's new mixtape displays the fighting spirit that's made her a force to be reckoned with—and gifts it to her young daughter. Gossip Wolf: What, Lady Gaga again?